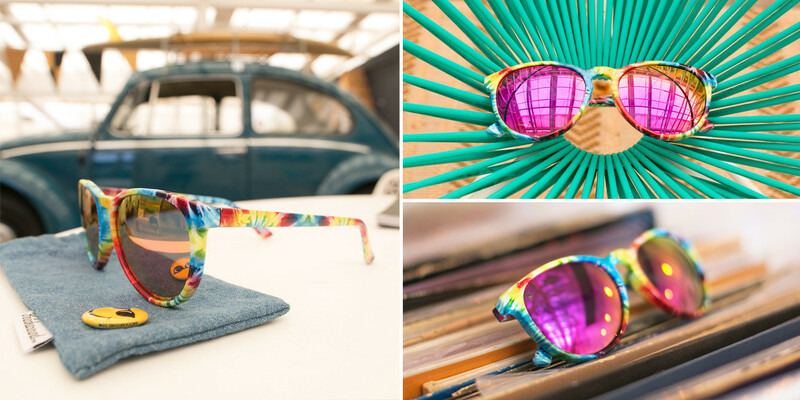 These psychedelic shades are the first pair of Limited Editions to ever release on our Mai Tais frame. 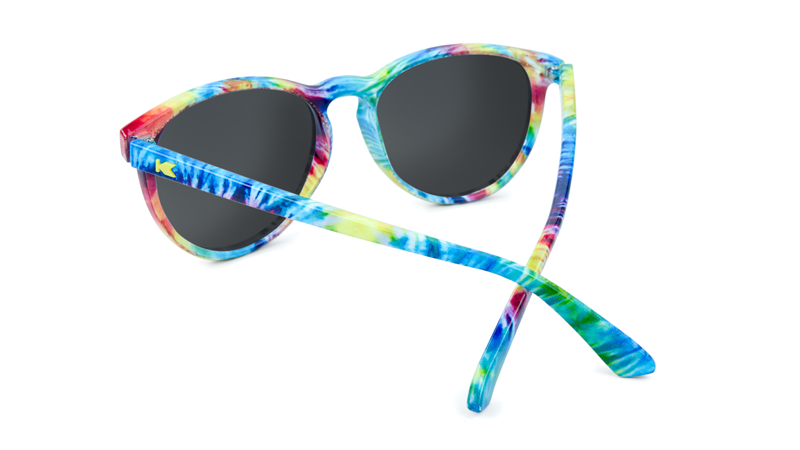 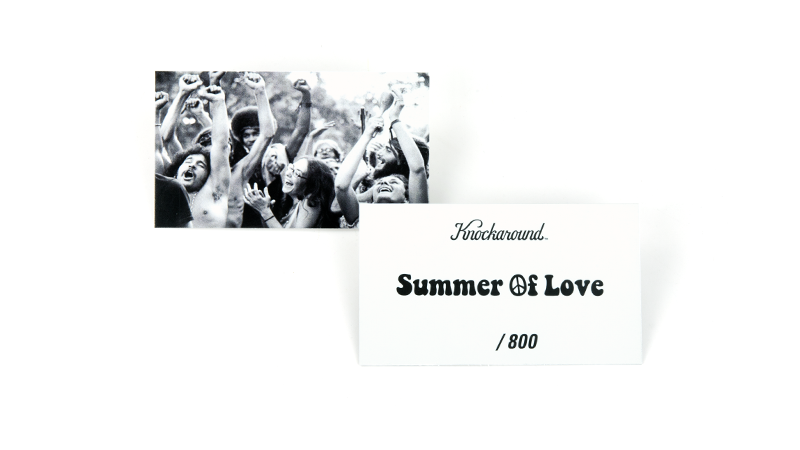 With a rounded silhouette, these sunglasses provide a groovy, yet still sophisticated, look for both men and women. 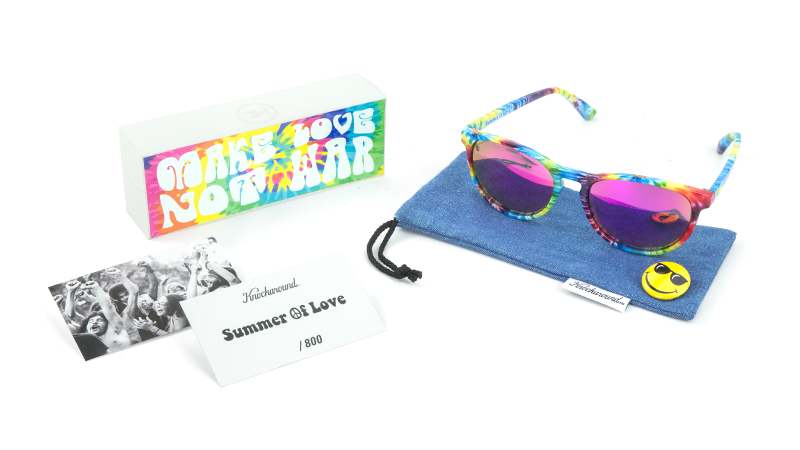 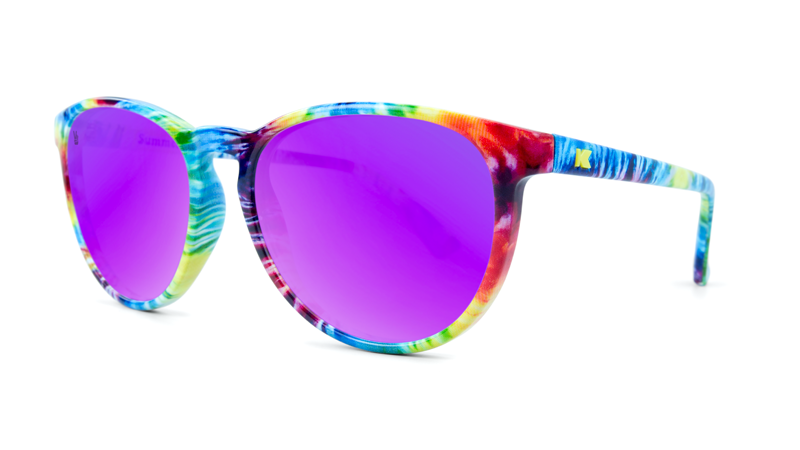 They feature a full-wrap tie dye frame, sunshine yellow "K" logos, and polarized lucid fuchsia lenses with a peace sign lens etch. 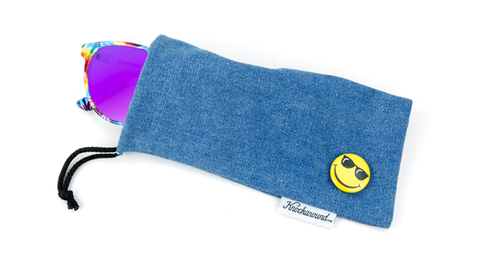 Each pair comes packed with a stone washed denim pouch, a hand-numbered edition card, and as a reminder to always look at the bright side, a smiley Knock-face button pinned to your protective pouch. 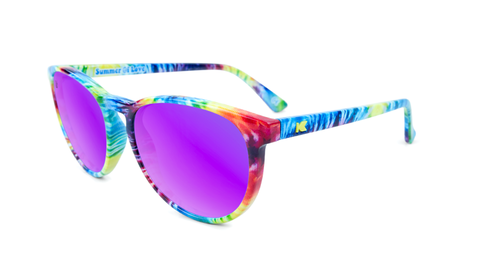 Knockaround Mai Tais provide a comfortable and lightweight fit. 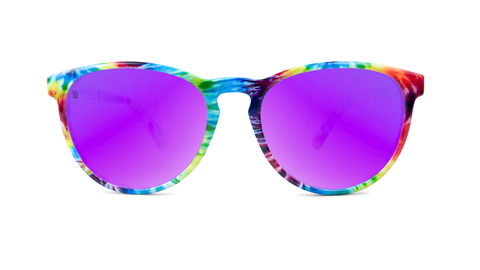 Great for most face sizes and shapes.